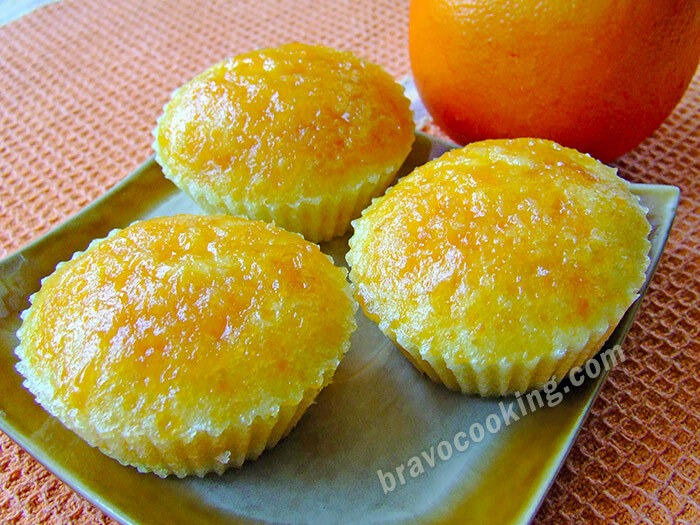 Steamed orange muffins with a refreshing taste of a fresh orange and apricot jam. 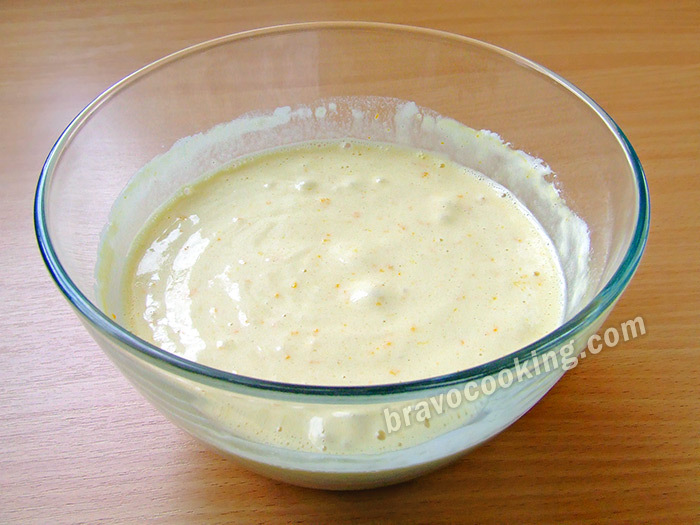 This recipe is fairly simple and quick to make. Such dish will both amuse the kids and entertain the adults. Tastes especially good when served warm. These classic steamed muffins are soft, moist and filled with orange flavour. Even without the top crust as what you can get from oven-baked cakes, steamed muffins are light and tender. Besides a steamer heats much faster and cooks for about 12-15 minutes. More importantly, steam is moist, that’s why muffins will not dry out ever! 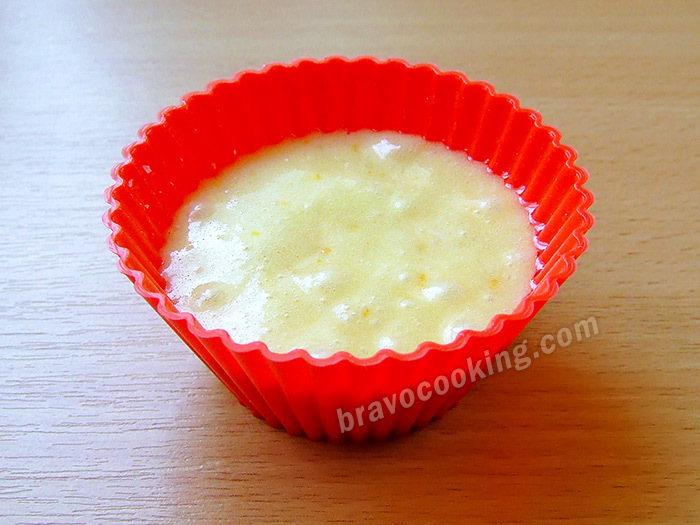 Indeed, if you cook orange muffins a few minutes longer than necessary, cakes won’t be dry as they would in an oven. 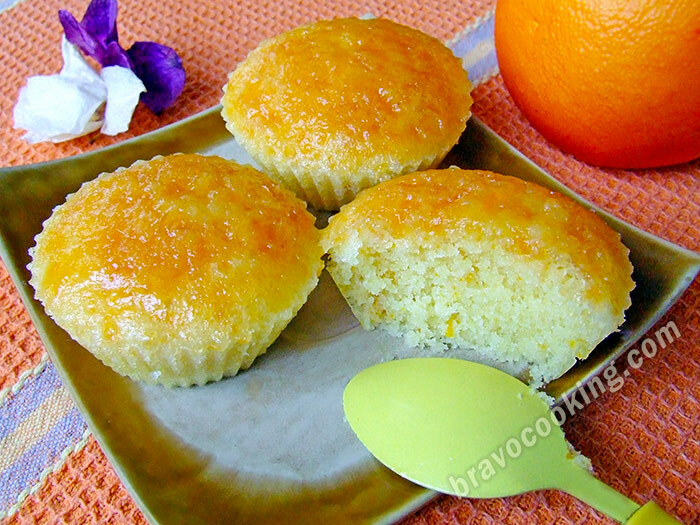 It is possible to serve these steamed orange muffins not only with apricot jam, but also with the melted white chocolate. The taste is amazing! Original recipe makes 15-18 muffins. 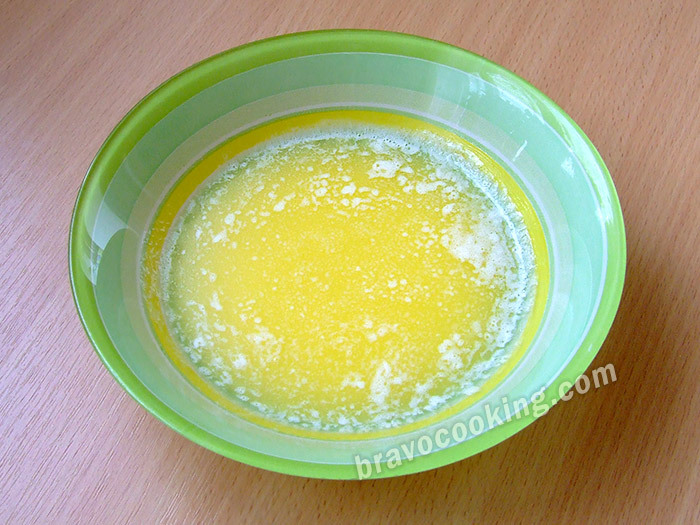 Melt cut-up butter in your microwave (for about 30 seconds) and leave it to cool. Wash the orange. 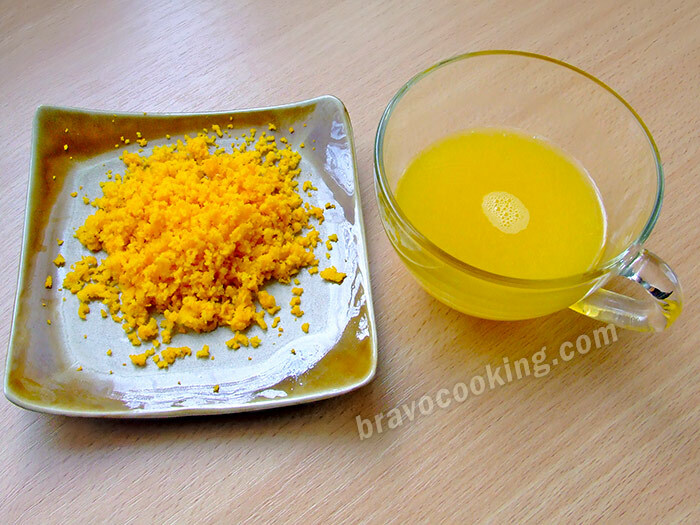 Using a grater and a squeezer make zest and juice of 1 orange. 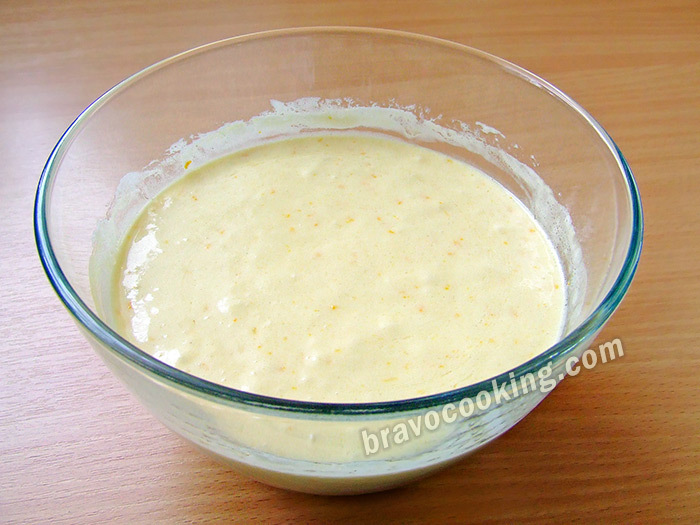 Add eggs and sugar together in a small bowl and beat them with an electric mixer for about 5-6 minutes on high speed. 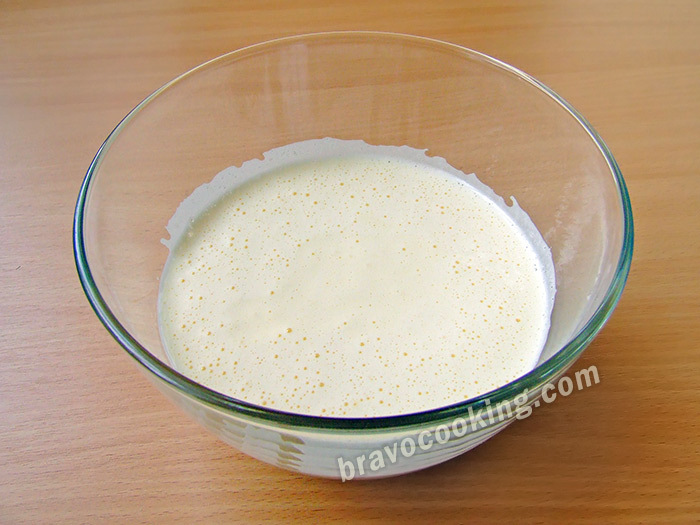 Sieve self-rising flour into the bowl with eggs and sugar, add vanilla sugar. 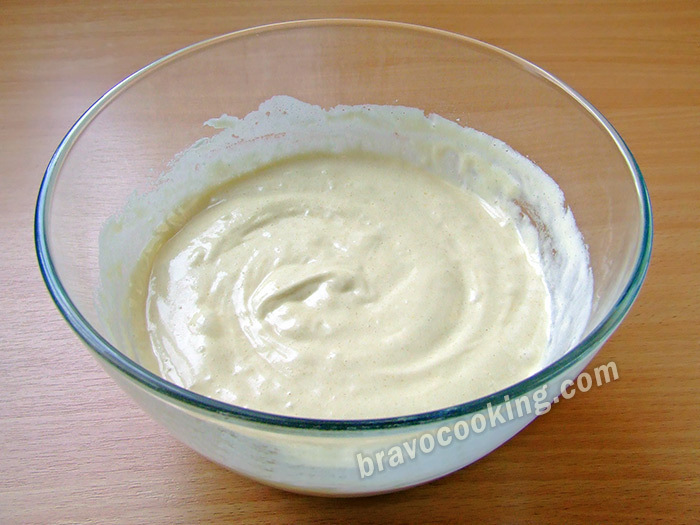 Using a hand whisk stir up all the ingredients well, but carefully. Add to the bowl zest and juice of 1 orange. Stir up all the ingredients. 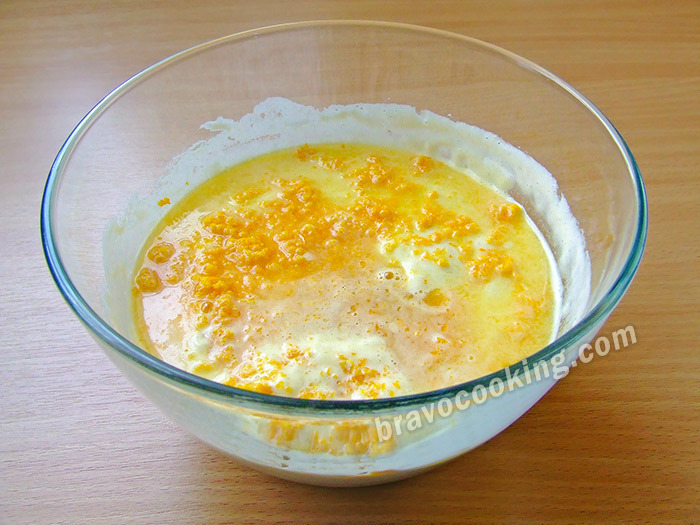 Add to the bowl melted butter and stir up all the ingredients well. 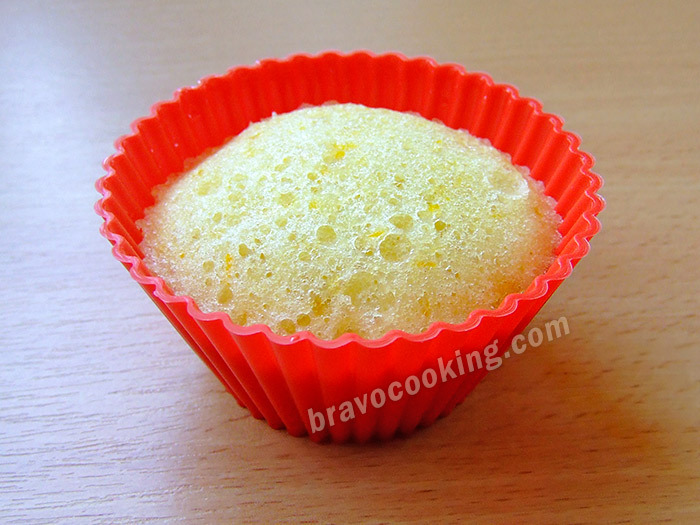 Grease silicone muffin pans with vegetable oil. Fill your muffin pans a little more than half full with pastry. 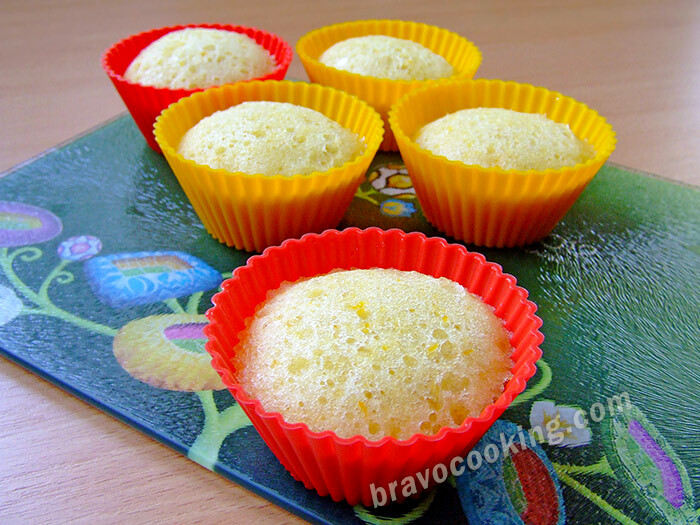 Place the prepared muffin pans in the steamer and steam them for about 15 minutes at high heat. Remove the muffin pans from heat. Serve the orange muffins topped with apricot jam.